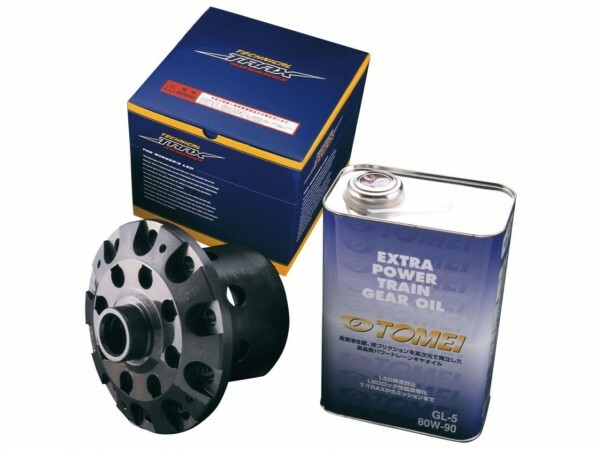 Tomei Technical Trax Advance LSD has been evaluated for its highest performance in the race industry. Tomei Technical Trax offers highest durability, strength, and usability with years of experience in developing limited slip differential. This LSD is packed with 20 advance clutch disks that improves transfer of power to the rear wheels. This LSD is dubbed to be the "super extreme" LSD for serious drivers. This differential is great for the track and drifting. A great alternative to KAAZ differential. This differential will only fit in factory "Viscous" differential equipped pumpkin. Will fit with VLSD equipped Nissan 240SX, Silvia, 180SX, and Skyline .